Thankfully, this version does not weigh 50 tonnes and can fit in my living room. When opening the box you are presented with plenty of plastic packets with lots and lots of Lego pieces in them. One thing i noticed straight away was that the packets weren’t numbered as with other Lego builds. There was also only one manual too. After carefully opening all the bags and pouring the contents on to my living room floor i started the build. The build took me about 7 hours in total and i personally think this is a moderate to hard build mainly due to the fiddly cogs and gear boxes. 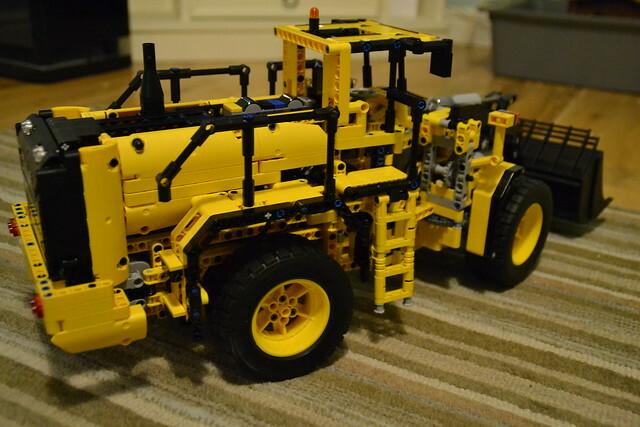 Once you have pieced the 1600 pieces together you are left with a brilliant machine. Add the 6x AA batteries and the 6x AAA batteries for the controller and your off and this is what you are left with. The power functions make this product easy to use. 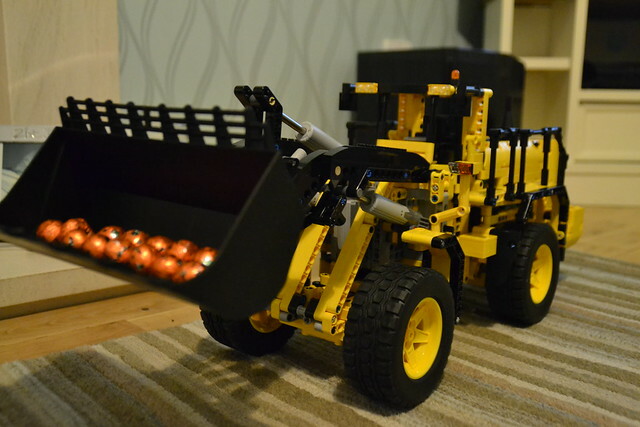 The scoop is very powerful for a Lego model lifting a generous amount of weight. The XL motor powering the 4 wheel drive system means the front loader is fast and powerful to tackle most obstacles and terrain. If you have the chance to build this model its well worth it and its even more fun with the remote controls when the product is built. 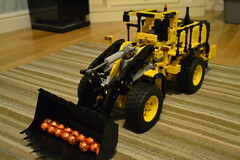 If your interested, there are more pictures in my FlickR album – https://flic.kr/s/aHskoZ2osa or you can view more of my Lego blogs here – http://bonxy.info/t/lego.